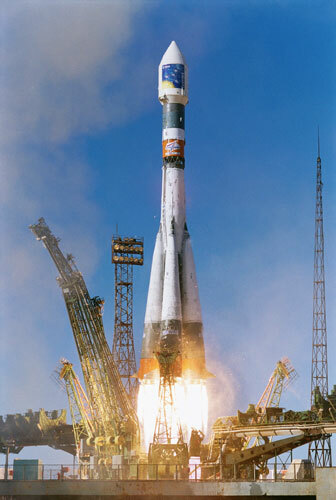 The Baikonur Cosmodrome is gonna make an awful mess of the Greenway when Menino hosts the next BRA meeting on the International Space Station. 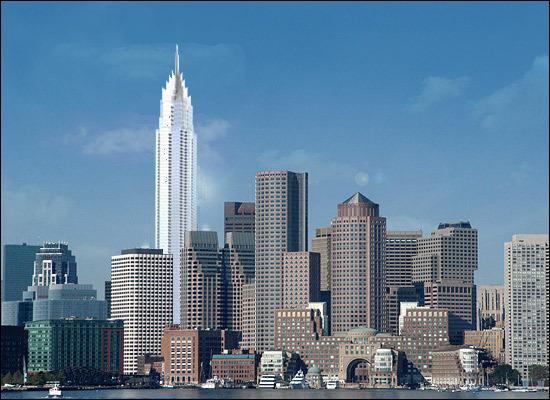 Just messing around, I think this is 2 WTC (cut out from a photo here) and it is not to scale. Corey wins. That would fit very nicely. I disagree with it being NTS. I think you've scaled it very appropriately. 2 World Trade has always been my favorite of the bunch. It would look really nice there. I have been looking for something like what's in this thread for a loooong time. I always wondered what some buildings would look like if they were transplanted into Boston. For a few new buildings, if we start around1,000' for the first one, and up to 1,500' for future ones, I think, would be good in Boston. We don't need megatall. That all being said, I too am a big fan of the rendering of Trans National place. Mix it up a bit so it's not JUST glass, and I think we're good. At the very least the first 10 floors need to have a facade that matches the surroundings, similar to what they're envisioning for the TD Garden Towers. P.S. If anyone feels like adding some more photoshops to this, I sure wouldn't hate it. I'll give it a whirl, but I only have MS paint, so no promises. Last edited by bobthebuilder; 12-11-2013 at 08:11 AM. Looks like it's based off One Beacon St., which I really hate. I really like how it dwarfs International Place, though. Looks funny. Donno wtf this is but someone made this. Obviously not happening, but came across this so posted it. That building looks like a tower proposed for Seattle that's around 850'. 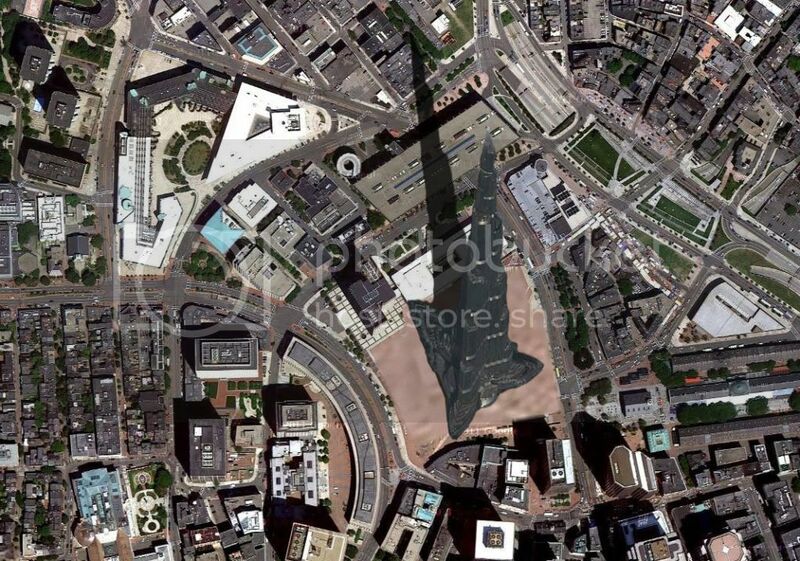 Of course, besides the FAA, Boston also has weird shadow laws like "no shade on the ocean" which preclude building that tall by the Aquarium. 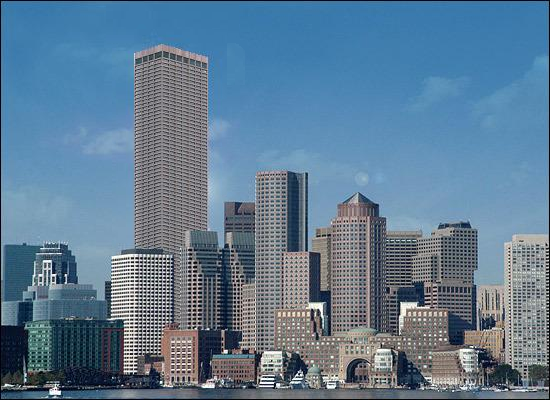 While I find the rendered tower fairly meh, we should be able to get that type of height either near the West End/North Station, or at the parking garage on Dalton. We can only hope somebody will someday have the guts to propose a new tallest at one of those few "last chance" sites we have left! A lot would have to happen with determined FORCE from City Hall. We've already seen that a project of such magnitude would have to endeavor through a litigious, and nasty process from a fanatical group of citizens opposed (always) to adding height (anywhere). You're near the North End and Beacon Hill; the parlor rooms of old money that runs Boston. You're putting shadow on the Esplanade... You're going to attract a lot of activism and legal action at the State level. We've learned big projects in Boston must survive over the span of multiple cycles, admn's and (developers) – with probably only a few possessing the capital to assume such risk. I don't agree. .....Copley Tower can get done. But development of the Dalton St Garage is unlikely in the extreme for the foreseeable future.... we can rule out nearly all of Back Bay, etc for over ~180m going forward (the Shadow Law includes Copley Sq). We have all these tall mid-rises and low skyscrapers over dense infill set to go. These projects will 'super-urbanize' Boston in remarkable ways, and test infrastructure..... You might see a proposal where planners want to get 400 or 500' with a pnf considerably taller. Height was slashed next to the Garage at Parcel 15 for a project that needs all the height it can get (to pay its way). 2 Charlesgate W isn't very tall and it's getting pushback. It tells us a lot. Last edited by odurandina; 12-26-2017 at 10:44 PM. Parcel 15 looks way better now though. It could have looked way better at the original height too. Height was slashed next to the Garage at Parcel 15 for a project that needs all the height it can get (to pay its way). As far as I can tell, they preemptively cut the height when they didn't have to. The same thing happened to the residential at North Station. Heck, both proposals probably could have gone even TALLER than the original renders! Developers should be encouraged to build to demand in sensible places by transit, rather than arbitrarily scaling back their projects and maintaining the housing crisis in the city. Last edited by DZH22; 12-27-2017 at 07:38 AM.